Typically, a solar water heating system comes at a more expensive installation and purchase price than the water heating systems usually used. Despite the increase in initial expense, a solar water heater is able to save you money over the long haul. When choosing between water heating systems, there are two primary factors to be considered: the quality of the water and the frequency of frost in your area. Each of these factors is vital to the performance of your solar water heater. Those who install a solar water heater are able to realize a monthly savings of 50 to 80 percent on their water heating bill. The sun is consistently available at no cost to the consumer, which means that you are no longer at the mercy of the electricity companies and their constantly changing rates. If a fuel shortage should arise, this will be of no concern to you. When installing a solar water heater, one of the chief concerns to the consumer is the cost. Until recently, the costs involved with installing solar heating systems were far too high for the average citizen to take on. However, technology has advanced and so has our awareness of the rapidly depleting conventional energy supplies. As a result, the cost of installing a solar water heating system and solar power system has sharply decreased. The estimated total cost to purchase and install a solar water heater will set the home owner back anywhere from R18,000 to R30,000. However, the purchaser is entitled to apply for an Eskom rebate, wherein they would receive a 30 percent refund of their initial purchase price. When determining the rebate amount, Eskom takes the efficiency of the system into account. By using the Eskom rebate system, customers are able to readily identify which solar water heating systems are best for them. Any system chosen by customers seeking a rebate must carry the SABS marking, which signifies the system’s suitability and durability for the climates it will face in South Africa. A common misconception among South African consumers is that the Eskom rebate system is difficult to aquire and filled with administrative mistakes. However, dealers leave nothing to chance by helping each of their clients fill out all of the necessary paperwork. Customers who complete their paperwork , experience a 100 percent success rate when it comes to receiving their rebates. How Long Will It Take To Receive A Return On Your Investment? One of the primary reasons so many home owners are changing from conventional water heaters to solar water heaters is because not only will you save significant money each month on your energy bills, but over time, these savings continue to add up, until the solar water heater has paid for itself and then you continue to save money as time goes on. As long as you stick with the solar water heater for a few years, it will become free. Depending on your household’s amount of water consumption, this may take between three and four years. Once these have been obtained, it’s time to decide between a direct system and an indirect system. Now, to outline the differences between the two systems. In a direct system, solar geysers are placed inside of the roof, which can lead to a potential loss of heat in the piping between the solar panels and solar geysers. This system requires quality water as the household’s water supplies are circulating through the collector panels. To ensure proper function, the outside ambient air temperatures must never be below 4 degrees Celsius. An open/direct solar water heating system is not recommended for colder climates and areas of South Africa with high instances of water mineral. These systems are closed and the heat does not circulate through the household’s water supply. Instead, the heat experiences an indirect transfer through a special heat exchange fluid in the solar panels. In an indirect system, the solar geysers and collector panels are placed side by side on the roof, which minimizes potential heat loss. An indirect system is best suited to areas with a moderate, occasionally chilly climate, as well as any area where the water quality does not remain consistent. Both the home owner and the water heating susyem supplier have the option to claim an Eskom rebate. In an ideal situation, 70 percent of a household’s hot water usage would be sourced from their solar water heating system. 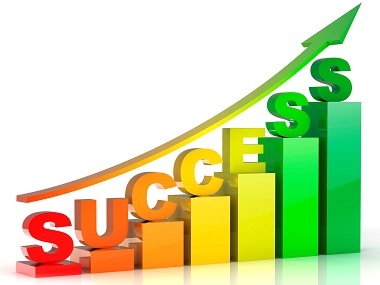 100 percent is within reach, but requires a larger initial investment. Having a electrical backup system will ensure that your household’s water supply remains balanced and that you are never out of hot water. A pre-feed installation is your best course of action, as it will feed your heated water from the collection panels and tank to the solar geysers, which provides a needed boost to your water storage capacity. Tubes that are evacuated have a faster response time and are able to absorb 90 percent of the sun’s heat. While they are not as useful in the winter months, solar panels are able to absorb 75 percent of the sun’s radiation. Solar geysers last much longer than regular geysers. Solar geysers can last up to 20 years, while a regular geyser typically lasts five years. Even on a cloudy day, solar energy can still be collected. UV rays are able to penetrate the clouds. A solar water heating system requires very little maintenance. While water is able to be delivered at its boiling point, it is only necessary to deliver it at 60 degrees Celsius. Several different size options are available, varying from 150, 200, 250 and 300. When installing solar geysers and collector panels, it is important to install them separately and ensure that they are no more than 5 meters away from each other. Systems with SANS 1307 are recommended, as they are SABS 400kPa approved and can be installed as either a closed or split system. Manufacturers do not typically offer installation and usually recommend a different company. Ensure that your installation is compliant with SANS solar water heating regulations and include all of the necessary components. A solar water heater will usually require a storage tank that is well insulated. These tanks are equipped with additional inlets and outlets that run to and from the collector. For two tank systems, the water is warmed by the solar water heater prior to its entrance into the conventional water heater. In a one tank system, the auxiliary water heater is combined with the solar water storage within the same tank. In most cases, a solar water heating system requires a backup, due to days with bad weather and periods of increased water usage. For a solar water heater that is mounted to the roof, cold water flows into its tubes, is heated by the sun’s radiation, and then flows from there into an cylinder that is insulated. A set of tubes is installed in any area that receives regular exposure to the sun, preferably the roof. An alternative system utilizes easy to heat chemicals, such as glycol. These chemicals flow through the tubes and heat the water. 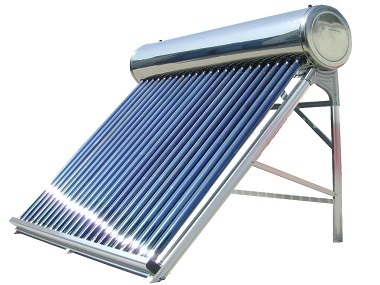 A solar water heating system typically necessitates the use of a booster. A booster is a backup heater, powered by electricity, that provides additional heat to kill any bacteria that forms in the water during less than optimal conditions. Certain systems carry the water into storage cylinders within the home, other systems’ storage tanks are located outdoors (or underground). An indoor tank is provided with superior insulation, while an outdoor tank is easier and cheaper to install and retrofit. There is also a large difference in how the water makes its way to the cylinder. 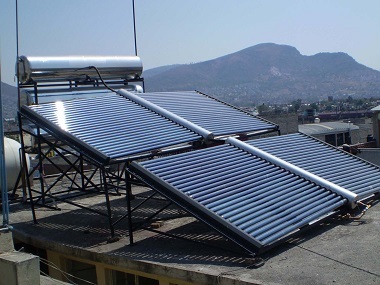 A convection solar water heater operates by convection principles, meaning the hot water rises to transfer into the cylinder. On the other hand, a solar water heater that is pump based transfers the water through the use of an electrical pump.